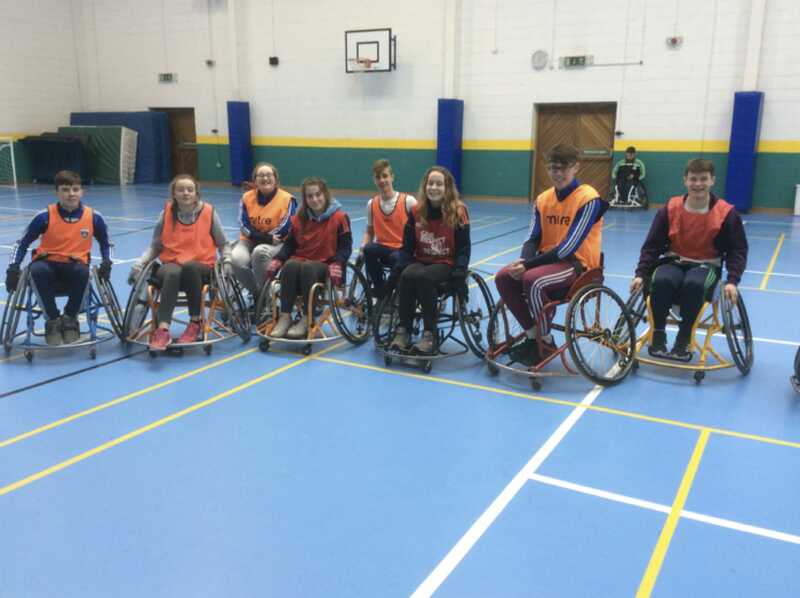 The Transition Year students in Desmond College are currently in training for a wheelchair basketball competition, which will take place in Neptune stadium on Thursday the 30th March 2017 where they will compete against other TY schools. Thomas Curtin, Alice Duffy, Leona Mulally, Rhea Crowley, Hannah McMahon, David O’Donovan and Michéal Murphy all TY students in Desmond College taking part in Wheelchair Basketball. 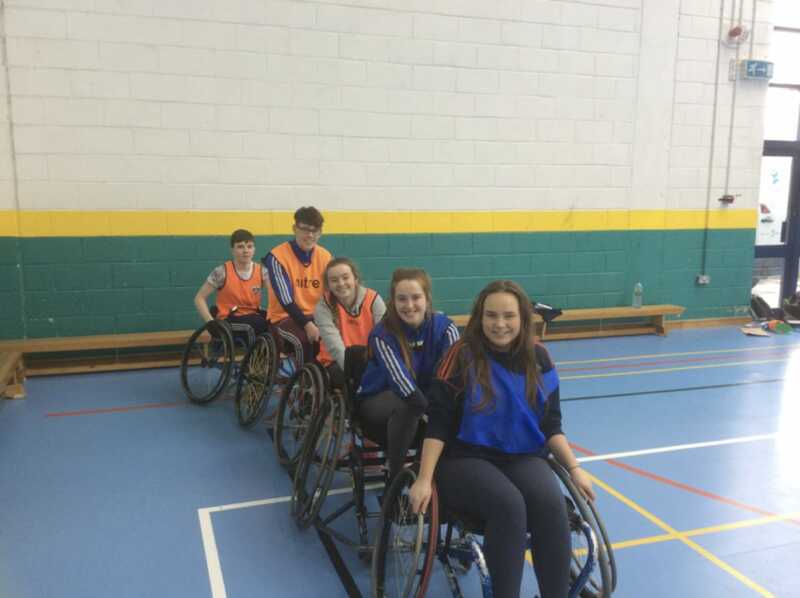 Amy O Shea, Roz Barrett, Alice Duffy, David O’Donovan and Thomas Curtin all TY students in Desmond College taking part in Wheelchair Basketball.